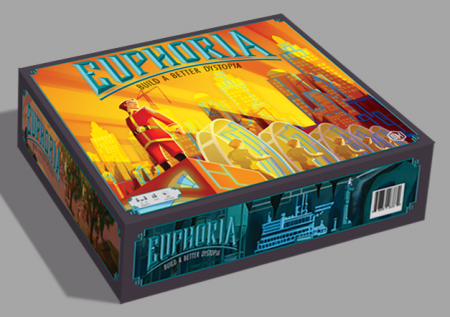 As of this second, I have a new project on Kickstarter called Euphoria: Build a Better Dystopia. I can’t tell you how excited I am about this game and this project. It is the product of countless hours of research, brainstorming, designing, coordinating, and playtesting. And I loved every minute of it. You don’t read this blog to learn about board games–if you did, you’d be reading today’s entry over at Stonemaier Games. So I’d like to share with you one aspect of the project that you might find interesting even if you don’t care about the game. I asked a musician friend if I could hire him to write a song about Euphoria for the Kickstarter project. I didn’t give him much guidance–I just told him that I needed a dystopian-themed song for a game called Euphoria. The song that Aaron wrote and composed is beautiful and haunting. I think it’s brilliant. And because I could only include the instrumental version in the project video on Kickstarter, I want to share the full version with you here. This entry was posted on Wednesday, May 15th, 2013 at 9:29 am	and is filed under music and tagged with ideas. You can follow any responses to this entry through the RSS 2.0 feed.